Sometimes you will be bopping along, and then … WHAM!! Life is unpredictable. Often when you least expect it things go all pear shaped. That has happened in my life over the last week, and it is also why I have been relatively quiet. Things are working themselves out now, but it will be a long journey for everyone involved. I decided, if I had to deal with the stress of family related drama, that a big plate of cookies would be the first item on my ‘Return To The Kitchen’ agenda. 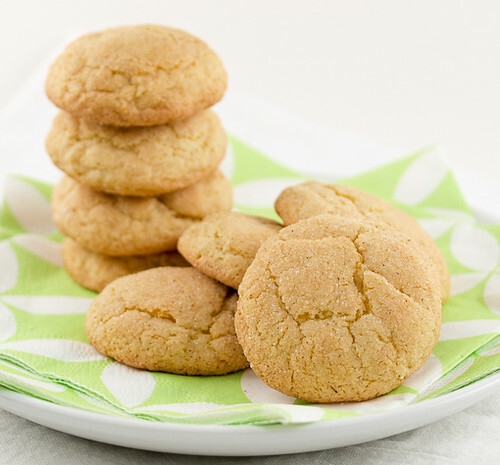 When it comes to comfort in cookie form, if I am not looking for chocolate, I tend to crave snickerdoodles. 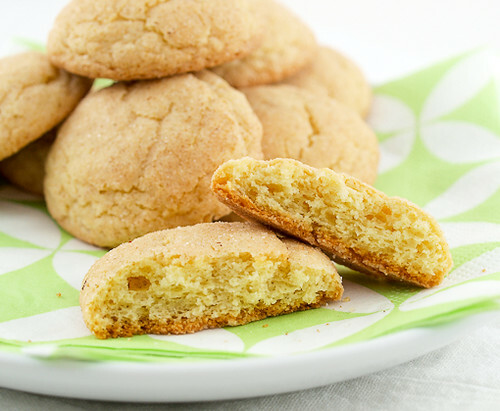 I have memories of coming home from a hard day at school to the warm cinnamon aroma and knowing everything would be ok. For my version I decided to go with a soft, cake-like cookie with crisp edges and a hearty flavor. 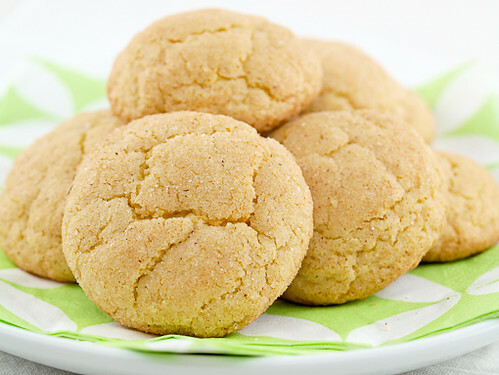 That flavor comes in the form of sour cream, which adds a slight tang to the buttery cookies. Because I was adding things I also added an extra egg yolk for richness. 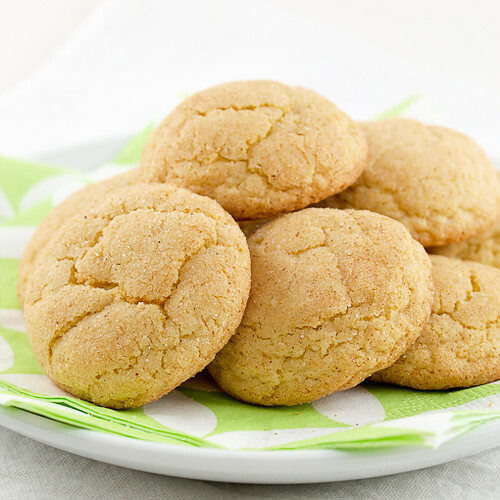 These cookies keep very well for up to 3 days in an air-tight container, if they last that long. 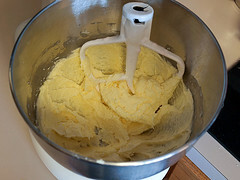 In a medium bowl cream together 1 cup of sugar and the butter until well blended and lighter in color. 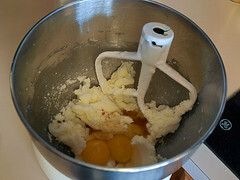 Add the egg, egg yolk, and vanilla and mid until well incorporated. 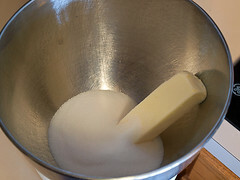 Stir in the sour cream. 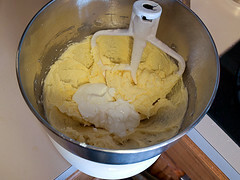 The mixture may look slightly curdled. 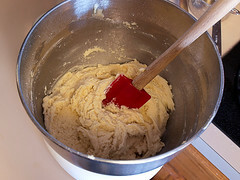 In a small bowl sift together the dry ingredients. 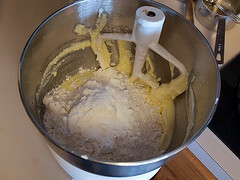 Add the dry mixture into the wet and stir until the mixture is smooth. The dough will be somewhat soft. 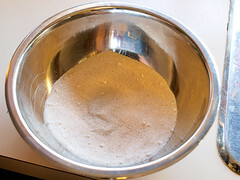 In a small bowl combine the remaining sugar with the cinnamon. 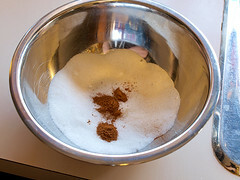 Scoop out the cookies by the rounded tablespoon and roll in the cinnamon sugar. 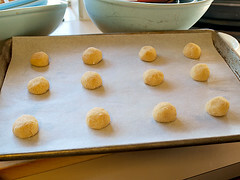 Arrange on the prepared pans leaving 2-inches of space between the cookies. 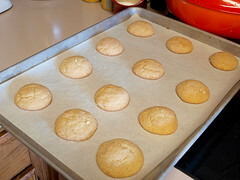 Bake for 10 – 12 minutes, or until the tops of the cookies are slightly cracked and the edges are golden. Cool on the pan for 5 minutes before transferring to a wire rack to cool completely.